Grand Velas Riviera Nayarit announces it has received the American Automobile Association’s (AAA) Five Diamond Award 2016 for excellence in quality and service for a complete decade. 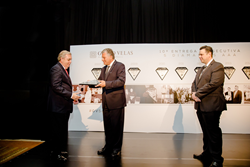 Eduardo Vela, president of Velas Resorts, accepting the Five Diamond from Tony Perrone, Manager – Mexico for AAA Travel, alongside Ignacio Mendoza, managing director of Grand Velas Riviera Nayarit. 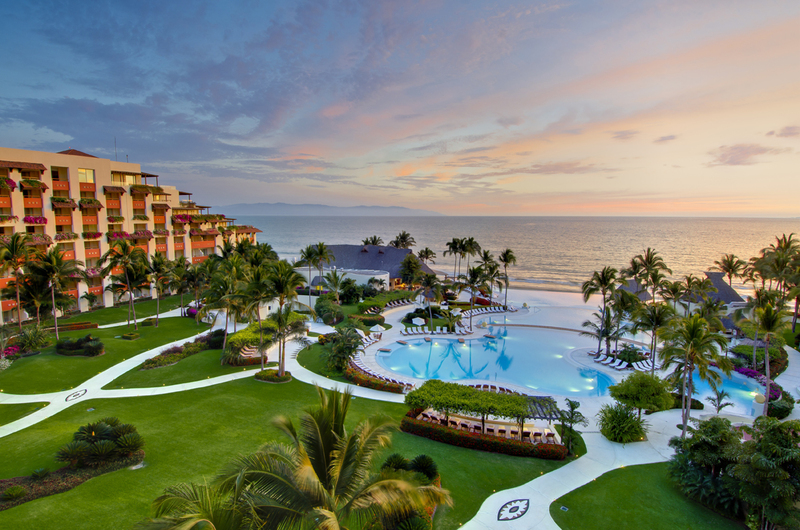 Grand Velas Riviera Nayarit announces it has received the American Automobile Association’s (AAA) Five Diamond Award 2016 for excellence in quality and service for a complete decade. It is the only luxury all inclusive in North America to have won this major award for ten years. This prestigious distinction follows on the heels of Grand Velas’ having had the most successful year in its history. In another milestone, last year it completed a $20 million renovation, from upgrades in the spa and gourmet restaurants to new Wellness suites, a state of the art teens’ club and stylish lobby bar. At a ceremony celebrating the award, Tony Perrone, Manager – Mexico for AAA Travel, said, “Over the years Grand Velas Riviera Nayarit has set the standard for all of Mexico for quality and consistency in both hotel service and facilities. They are surely a leader in the industry, a distinction achieved because of the total commitment of the ownership, management and staff,” he continued. A highlight of the renovation was twelve new Wellness Suites for travelers seeking an all-encompassing wellness retreat that include a personal Spa Concierge, in-suite fitness amenities, Insuite massages and more. Creating a contemporary space where teens from 13-18 years old can enjoy their own mini vacation, the resort’s new Teen Club enhances the family offerings with an extensive game room and Chill Out zone with soft drinks and favorite deli snacks to enjoy. Koi Sports Bar and Dancing Lounge is the new entertainment option at the resort. Highlights of the casually elegant space include a 27-ft dramatic marble bar, state of the art sound and video equipment, and comfortable seating groups. A DJ spins the latest hits for guests’ listening and dancing pleasure with a dedicated dance floor. In addition to Grand Velas Riviera Nayarit’s 10th anniversary, its sister resort Grand Velas Riviera Maya and its signature fine-dining restaurant Cocina de Autor have also been awarded the Five Diamond Award. The resort group’s adults-only property, Casa Velas, is the recipient of the AAA Four Diamond Award, along with its Emiliano restaurant, three restaurants at Grand Velas Riviera Nayarit and two restaurants at Grand Velas Riviera Maya. 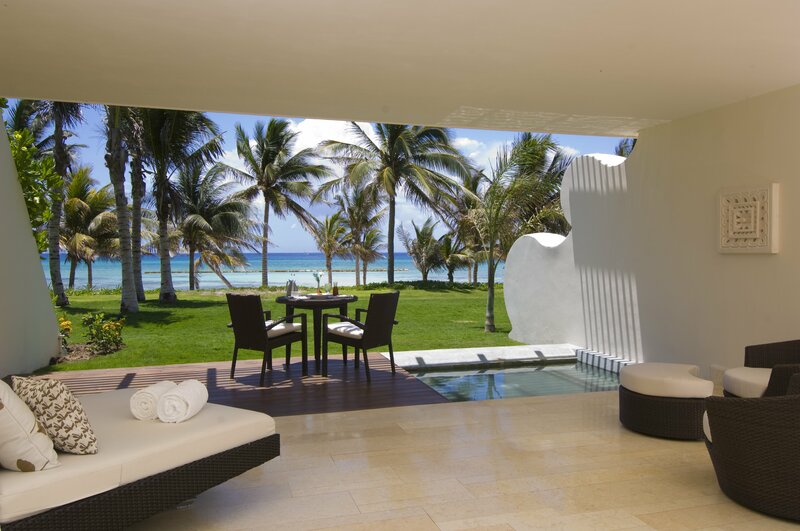 For the second year in a row, Velas Resorts boasts a total of 43 AAA Diamonds. “All of us at Velas Resorts take special pride in upholding the elite standards set by AAA. We constantly strive to not only meet, but also surpass those standards. It is this level of service that our guests enjoy and have come to expect from us,” said Eduardo Vela, founder and president of Velas Resorts. “This year promises to be a landmark one for us, beginning with the award and ending with the opening of our fifth Velas Resort in Los Cabos in November," he continued. Each year the 56 million member strong AAA’s inspectors review more than 28,000 lodgings and nearly 30,000 restaurants. Last year over 65,000 lodgings were reviewed. Of those, only 120 worldwide earned the coveted 5 diamonds. For more information on Velas Resorts or to make a reservation, please call 1-888-807-4869 or visit http://www.velasresorts.com. Offering unparalleled all-inclusive experiences, the four Velas Resorts in Riviera Maya, Puerto Vallarta and Riviera Nayarit have earned more than 43 AAA Diamonds, including the prestigious Five Diamond Award. Other esteemed international awards for their services and facilities include Virtuoso’s “Best Spa”, Conde Nast Johansens’ “Most Excellent Resort” and “Most Excellent Spa Hotel” and the American Academy of Hospitality Sciences’ 5 Star Diamond Award. Properties include Casa Velas named the 8th Best Hotel in the World on The Expedia® 2013 Insiders’ SelectTM List, a boutique adults-only hotel and ocean club located on the Marina Vallarta Golf Course, and Velas Vallarta a family-friendly all suites resort and spa located on Banderas Bay, both in Puerto Vallarta; and the AAA Five Diamond Grand Velas Riviera Nayarit located in Riviera Nayarit. Completing the group is Grand Velas Riviera Maya, located five minutes from Playa del Carmen, offering the most sophisticated, ultra luxury all-inclusive resort experience in the Caribbean with jungle and beach settings. Velas Resorts feature spacious accommodations, spas, a unique culinary experience at a selection of restaurants, 24-hour insuite service, fitness centers, Butler service, state of the art conference centers, extensive family programs, fully stocked mini bar and more. Velas Resorts are operated by Eduardo Vela Ruiz, majority owner, founder and president of Velas Resorts, with brother Juan Vela by his side, vice president of Velas Resorts.